I am the mom of one of the most loving, sweet and adorable boys on the planet. I am a mom of three boys. I love them all. My firstborn son would rock my world. I had no idea what it would take to be a mom of a special needs child. I learned quickly that I had to become an advocate for my child. I never considered myself a strong fighter before, but when you are talking about the needs of your child, everything changes. I adore my son. He keeps me young. He loves all things Disney. He loves musicals. The little things make him happy. He is a big fan of plush animals, especially ones that come from Disney World. His room is a menagerie of plush stuffed animals and all characters Disney. As my eldest son hit the teen years, things changed. It became more difficult to deal with him. He became more frustrated, and more angry. His mood swings scared us. Friends and family who knew us well were afraid for our safety. The police had been called, numerous times. 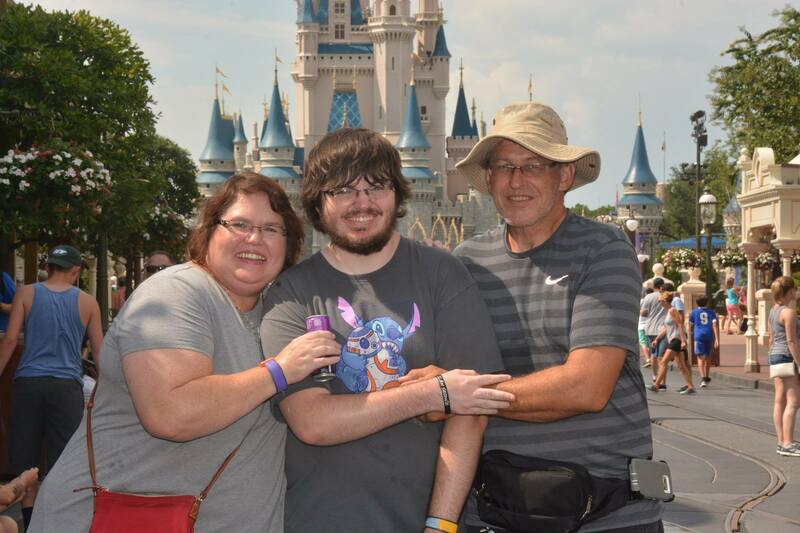 This is often the life of a family dealing with a family member on the autism spectrum. It can also be the same issue for those with ADD or ADHD. In fact, my son was diagnosed with ADD at a young age, and ultimately Autism when he was a bit older. As we were dealing with mood swings and his health problems, I was so stressed and so busy, I would make the quickest meal possible just to make it through the day. Problem was, that was actually the worst thing we could do. It got to the point that my son out of frustration, pushed me in the driveway. I flew, literally, fell on my right shoulder and rolled over again somehow. When all was said and done I had a broken, shattered right shoulder, a broken left arm and a very swollen knee. I was shocked, shocked that he pushed me and scared for what the future would hold. One day I was grasping at straws and trying to figure out if it was safe for our son to even live with us. We were afraid for the future because his mood was so volatile. Over the years I learned how much of a difference diet can make. I emptied our pantry shelves of high fructose corn syrup, artificial sweeteners and food coloring. 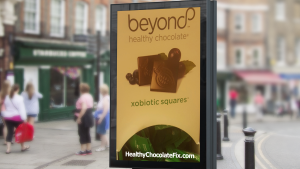 We stopped eating processed foods and we started eating Beyond Healthy Chocolate. Then we started a Beyond Healthy Chocolate protein shake with a high amount of antioxidants and flavonoids. 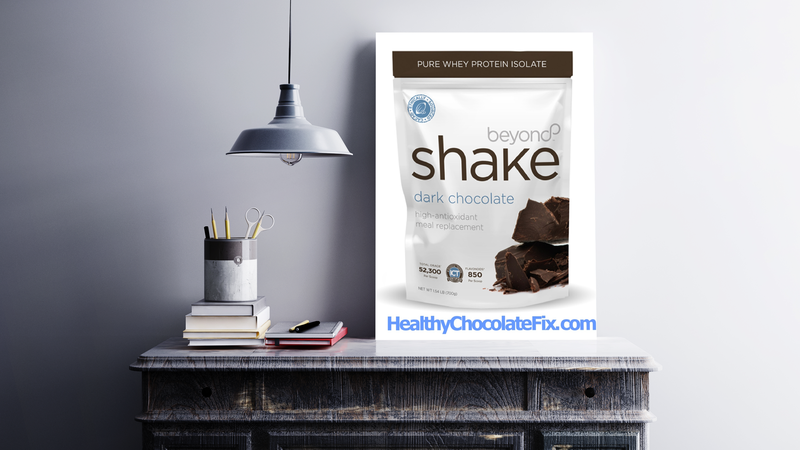 I had started eating Beyond Healthy Chocolate and they were just coming out with a new Healthy Chocolate protein shake. I was not actually sure it would help although the antioxidant content was off the charts and it was made with healthy chocolate that was not heated and dutched, meaning it stil had the benefits like you would find in raw cacao or cocoa. I figured chocolate was good for mood so what could it hurt? None of the prescription medications my son had received had helped. So, my son and I both started the shake on the same day. I bought him a special cup to use and we made our shake with 1/2 frozen banana, 1 teaspoon peanut butter, 1 cup ice and 2 scoops of the shake mix. It actually tasted pretty darn good. My son and I started that shake over five years ago and today we still both have that shake for breakfast every morning. It is wonderful nutrition and the best thing I could have ever done. I am thankful to God that he led me to that shake. have hope for the future, something we did not have all those years ago. We have hope because he continues to improve. The more he has the shake, the more he improves. I can’t explain it, I am not a Doctor or a scientist. I am just a mom. All I know is that it works. I tell everyone I know who has a child with autism or ADD or ADHD that nutrition matters. I also noticed that many of the moms of children with autism are just like me. I have had fibromyalgia and chronic fatigue for over 15 years. When I talk to other moms dealing with special needs children, the parents seem to have autoimmune diseases or fibromyalgia. So I make sure to share with them the benefits I experience when I have the Beyond Protein Shake. It helps with my fatigue. It helps with my pain. I won’t go anywhere without it or skip that shake. It helps that much. If you are looking for a good nutrition breakfast, I highly recommend you try this shake. Call us if you have any questions. We are here to help! 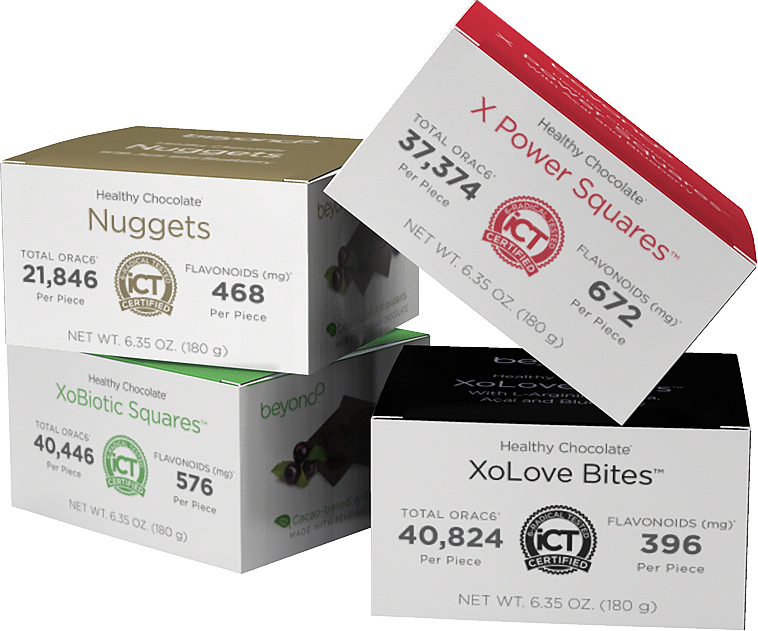 You can reach Lynette Henk of Three Sons Marketing LLC at 941-216-5727 or visit us at HealthyChocolateFix.com.